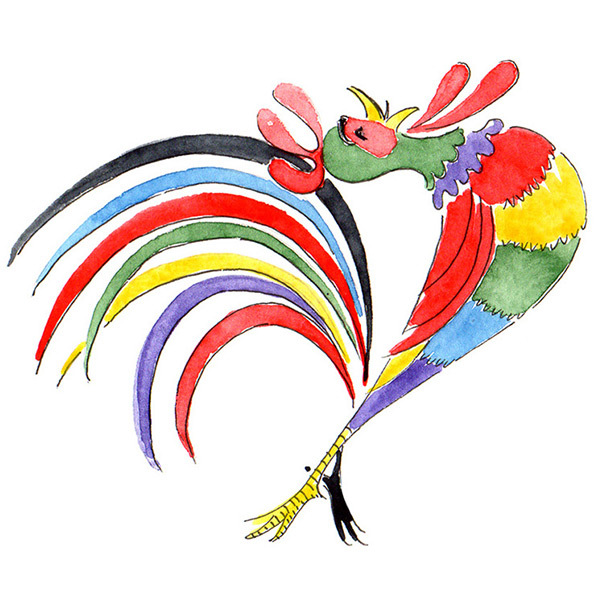 For nearly seven decades, Brennan's has charmed the palates and hearts of patrons with its splendid ambiance, impeccable service, and authentic Creole cuisine. 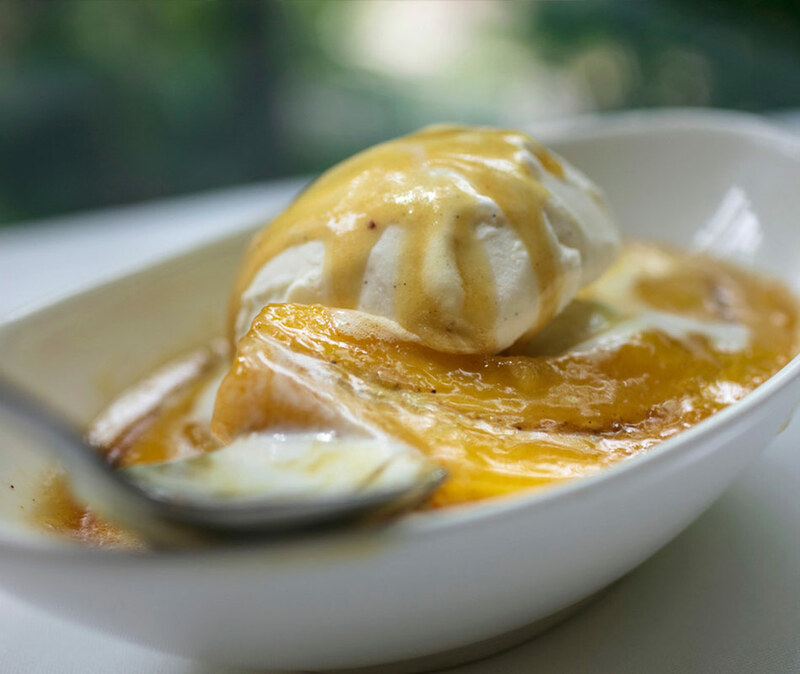 Masterful dishes like Bananas Foster and Eggs Hussarde are Brennan's originals, imitated across the globe. Brennan's today is a dazzling display of New Orleans's illustrious past persevering in the present. We invite you to come visit and experience classic Brennan's traditions like Breakfast at Brennan's, table-side dining, bananas foster, Happy Hour at the Roost Bar, and more. When Owen Brennan, the beloved proprietor of the Old Absinthe House, was teased by Count Arnaud that an Irishman's culinary skills ended with boiled potatoes, he was determined to prove him wrong. In 1946 he opened Owen Brennan's Vieux Carré Restaurant on Bourbon Street, where Bananas Foster, Breakfast at Brennan's, and history were made in the process. In the early 1950's, Owen Brennan decided to name a dessert after his friend and fellow member of the Metropolitan Crime Commission, Richard Foster. At the time, Owen's younger brother, John (Ralph Brennan's Father), was running "Brennan's Processed Potato Company," a produce company with a surplus of bananas. Owen asked his sister, Ella, and Chef Paul Blangé, to come up with a new dessert using these bananas. What they came up with is now the world famous Bananas Foster. The dish was originally invented at Brennan's Vieux Carré Restaurant on Bourbon Street, across from The Old Absinthe House. 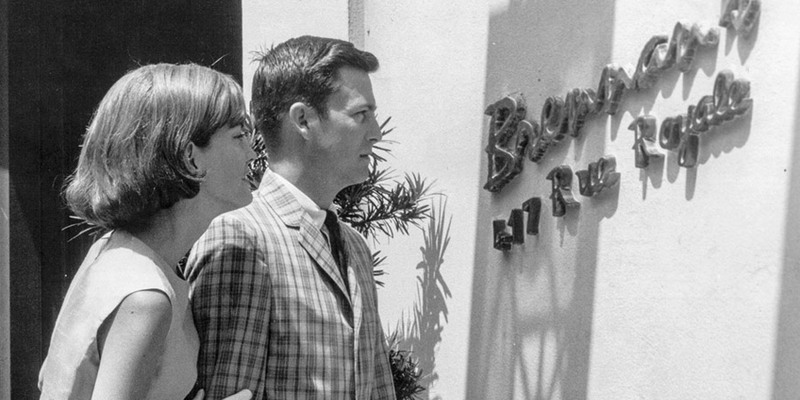 Bananas Foster's popularity did not fully take off until Brennan's began "Breakfast At Brennans' with Fosters as a signature dessert. Flambé, as the French say! 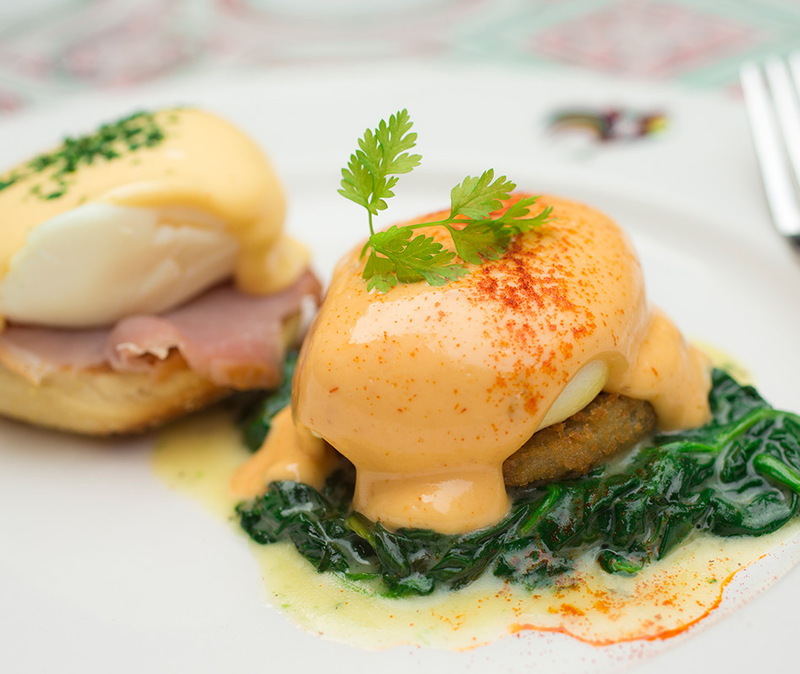 The nouvelle-Creole cuisine of Brennan's is ideally adapted to classic French tableside service. 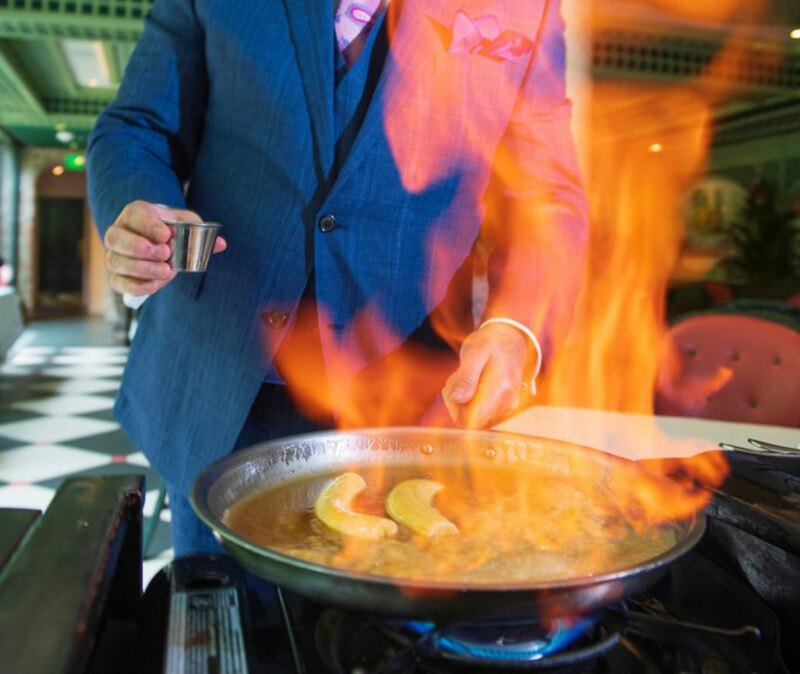 Guests can indulge in meals prepared by the talented front-of-the-house team, on a cart tableside, featuring dishes like Soft Scrambled Truffled Eggs, Steak Diane, Seasonal Crepes Fitzgerald, and Brennan's signature Bananas Foster, flambéed before your eyes atop the mobile gueridon. 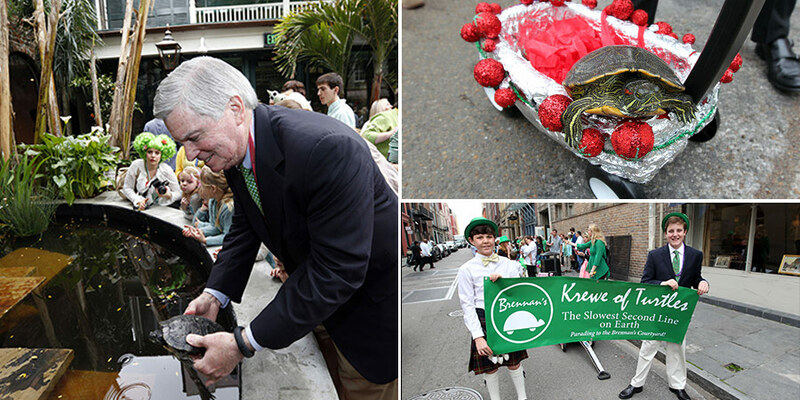 As "Breakfast at Brennan's" has become part of the common parlance -- so will "Turtles at Brennan's." And no family pet of Brennan's could go unnamed, co-owner Terry White, Ralph, Haley, and the Brennan's team tapped into the traditions of New Orleans cooking and its French roots, choosing first the harmonious names of the five "Mother Sauces" of classical French cuisine, so essential to New Orleans fare. But five more names were needed. In the distinctive local lingo, the good Louisiana Samaritans dubbed them "The Muthas and the Othas," the "othas" bearing the names of five other sauces that complete a New Orleans menu. When Owen Brennan, the beloved proprietor of the Old Absinthe House, was teased by Count Arnaud that an Irishman's culinary skills ended with boiled potatoes, he was determined to prove him wrong. In 1946 he opened Owen Brennan's Vieux Carre Restaurant on Bourbon Street, where Bananas Foster, Breakfast at Brennan's, and history were made in the process. After a successful decade of business and Owen's untimely passing, the restaurant moved to its present quarters. In festive New Orleans fashion, loyal patrons ate and drank a final supper before parading to dinner at 417 Royal Street, a new location with an illustrious past. 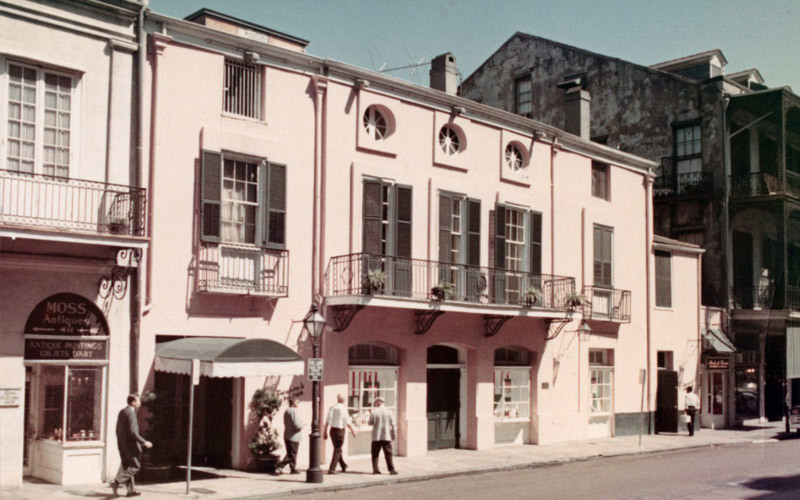 Constructed in 1795 by the great grandfather of Edgar Degas, the famous pink building once housed the Louisiana State Bank, served as a private residence frequented by President Andrew Jackson, and was home to eccentric chess master Paul Morphy. It was bequeathed to Tulane University, leased and then sold to the Brennan family in 1984, and in 2013 was bought by partners Ralph Brennan and Terry White, who completed a major restoration. Mystery and discovery surrounded the project, as talented artisans worked tirelessly to restore one of the city's most cherished structures. A forgotten hidden door was found, while a rumored gold-filled tunnel was not. 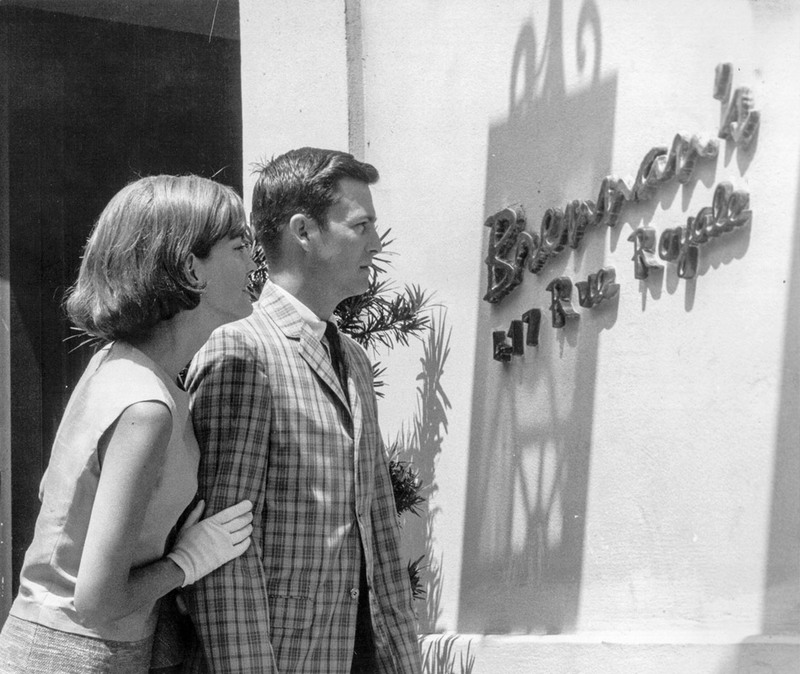 Today, Brennan's is both historic and contemporary, proof that fine dining remains proudly relevant. As other cities lose their traditional restaurants to lifestyle changes in a fast-paced world, New Orleans continues to embrace and support the grand establishments that perpetuate this art. 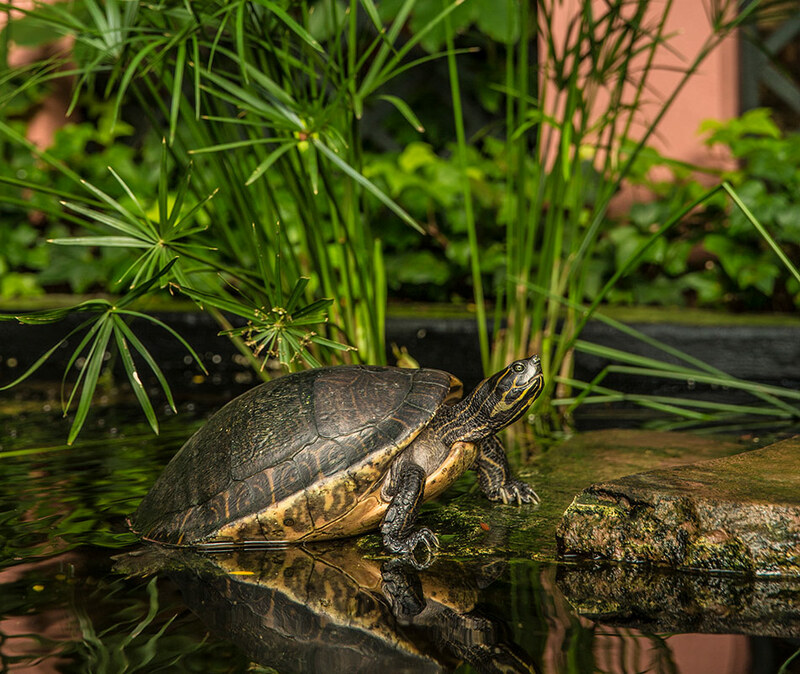 Brennan's restaurant had the good fortune to adopt a family of turtles -- ten of them to be exact, and as green as they come -- who inhabit the fountain pool under a canopy of greenery in Brennan’s legendary courtyard.